This month Saltbox and Stoke-on-Trent Foodbank have been working in partnership with Santander UK to help raise donations to support disadvantaged people across North Staffordshire. 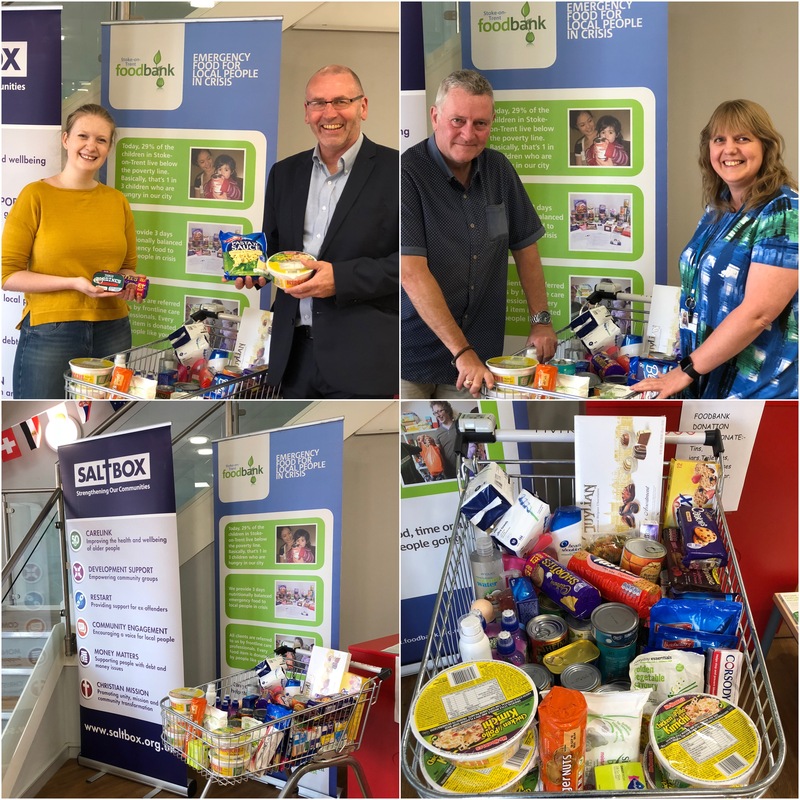 Representatives from Stoke-on-Trent Foodbank and Saltbox’s Money Matters team spent time in Santander’s Hanley branch where a food trolley was set up to encourage donations. The team was also able to engage with members of the public, answering questions relating to the services we provide across the local community. The event was a huge success. Santander staff and customers kindly donated over two full trolleys of non-perishable, tinned and dried foods and toiletries, all of which have since been collected by the Foodbank. Money Matters Senior Advisor, Mary-Anne Rapson said “We really appreciate the recognition that Santander has given to the important work that Money Matters and Stoke-on-Trent Foodbank do to support local people during times of crisis. The opportunity came about following a visit by Jane and Karen (from the Santander Hanley branch) to the Foodbank Distribution Centre held at Swan Bank Church in Burslem”. We’d like to thank Santander UK and their staff for making us feel welcome and allowing us to raise donations for a wonderful cause. Thank you for visiting Saltbox’s new ‘Money Matters’ website. Our Money Matters service provides practical advice and support to ensure our clients have all of the support they need to tackle a range of money, financial and debt issues. We also work in partnership with Stoke-on-Trent Foodbank (a Trussell Trust Foodbank) to provide support to their guests. On our new website you can read all about the History of Money Matters, including how it began as a pilot service just over a decade ago, providing additional support to those using local food banks. We’ve come a long way since then. Thanks to funding from utility provider Npower (as part of their commitment to charities via its Good Causes Fund) Money Matters now has the backing to run all the way through to November 2020. At the core of Money Matters is our committed team of qualified advisors (CMA Generalist Debt Advice). You can find out more about our staff and volunteers in our brand new Meet the Team page. As you’d expect, with a financial advice service there are plenty of numbers involved. You can find out more about the impact of Money Matters on our new Results page, including how many clients we helped out in 2016/17 (792), along with the average debt we help to manage per client (£3,415). We’re passionate about helping our clients overcome their financial problems. Therefore, our new site now features a Stories section where you can read case studies of individuals who we’ve successfully supported along the way. We’re always keen to make Money Matters a better service and we couldn’t do this without our dedicated team and volunteers. 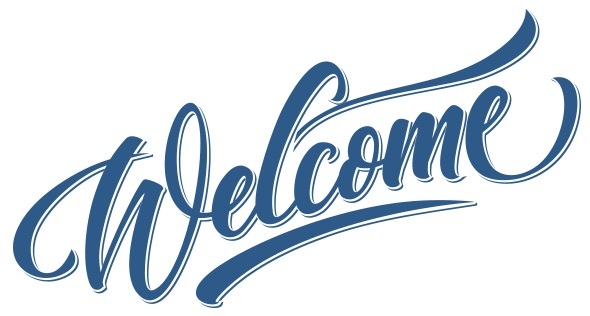 Therefore, we’ve launched a new and improved Join The Team section. Here you’ll find FAQs detailing not only how you can get involved but also what you can get out of it (including training and support). The above is just a taster of our new Money Matters website. Feel free to take a look around. If you do have any further questions then you can always get in touch with us via our Contacts page.